Second Chance Ranch is a refuge for rescued animals of all sorts who need a new home. "The Farm Lady," Diane Odegard Gockel, is a former high school teacher who has devoted much of her life to the rescue, fostering, and adoption of homeless pets and now enjoys writing a series of children's stories inspired by real animal rescues. 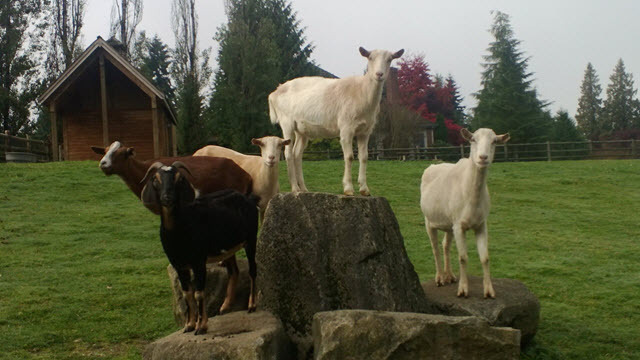 She and her husband have four grown children and live on a small rescue farm in Sammamish Washington. Diane is available to read her stories on Skype or by visiting local classrooms, as well as discuss the writing process. Diane loves to answer questions about rescuing animals and caring for various types of pets. Her farm includes dogs,cats, miniature horses, miniature donkeys, alpacas, llamas and a large Jersey steer named Cowboy!